It’s Vertigo, it’s a new series, it’s got Zombies – it’s got to be brilliant! Gwen Dylan is a gravedigger in an eco-friendly cemetery…and a zombie detective. Once a month, she has to eat a human brain – both to keep from going all “Night of the Living Dead,” and to keep her own memories intact. As a result, Gwen’s mind is crowded with the dead person’s thoughts. And lately, she feels compelled to fulfill their final requests. Torn between a mysterious mummy and a dashing young monster-hunter, Gwen is set for adventures beyond imagination! A were-terrier, a swinging ’60s ghost and a pack of paintball blasting vampires complete the cast of I, ZOMBIE. 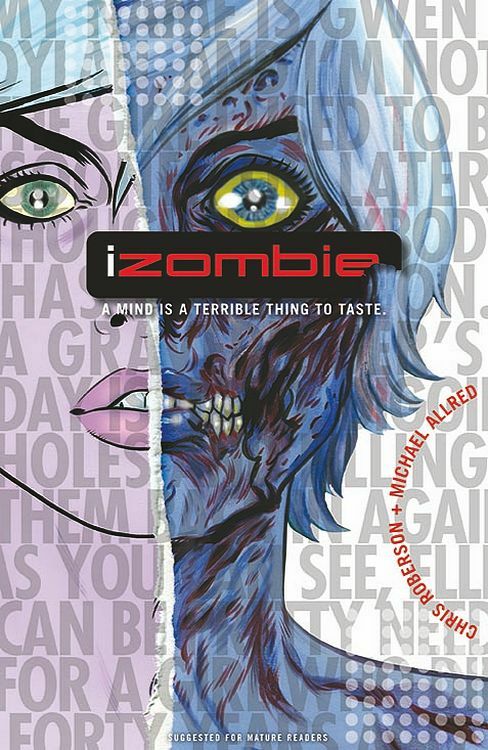 Written by World Fantasy Award finalist Chris Roberson (CINDERELLA: FROM FABLETOWN WITH LOVE) with art by Eisner Award-winning superstar artist Michael Allred (X-Statix, Madman), I, ZOMBIE is a monster of a tale with razor-sharp prose and powerful pop artistry. Don’t miss this special debut issue launching Vertigo’s next monster hit, priced at just $1.00!